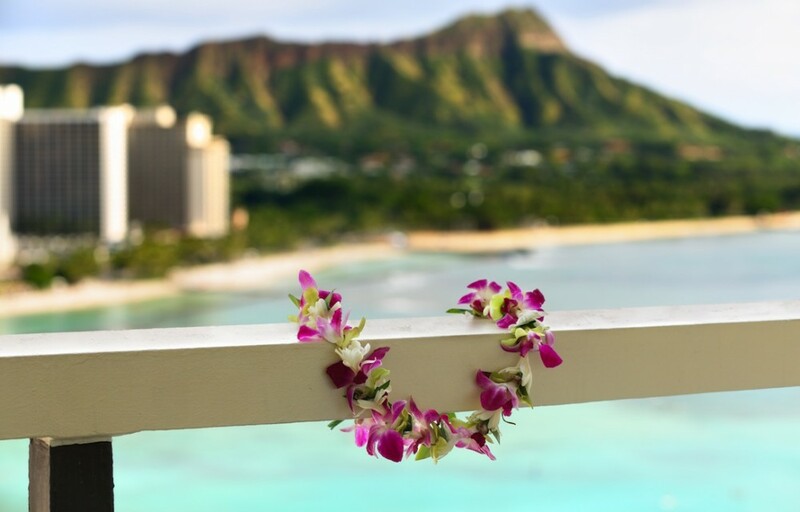 Hawaiian flowers, fresh leis and corsages, loose orchid blooms and Hawaiian gift baskets. We ship to any state in the US. Fresh and on time. Order any time and select your delivery date. And we’ll include your personal gift note. Order your graduation leis early as flowers sell out quickly. Choose your delivery date at checkout. 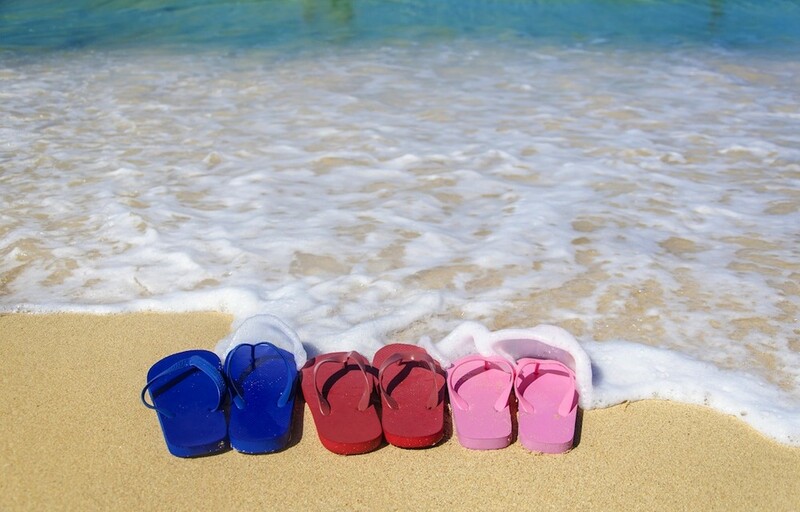 Hawaiian-theme weddings and other important events are our speciality. 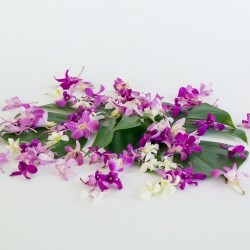 We also have a wide selection of Hawaiian flower assortments. Choose six, twelve or two dozen fresh cut tropical stems. Orders are sent by one or two day FedEx. Assortments arrive as loose, full length stems. By going directly to local growers we insure that your flowers are farm fresh. 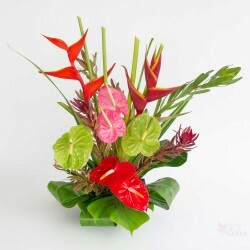 For an extra special gift send Hawaiian flowers every month with free shipping. 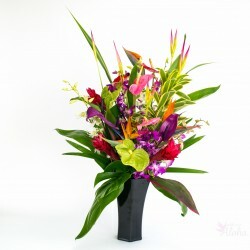 Here at Alii Flowers (ah-lee-ee) we pride ourselves on using locally grown Hawaiian flowers. 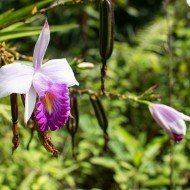 Our growers provide only the freshest and most beautiful tropical flowers. Each is trimmed and cleaned. We send the full length stem to provide the most flower arranging options. 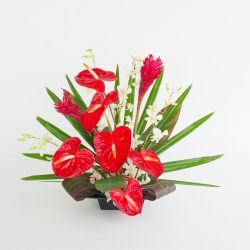 Note that it is not possible to ship an arrangement in a vase due to shipping and agriculture inspection requirements. 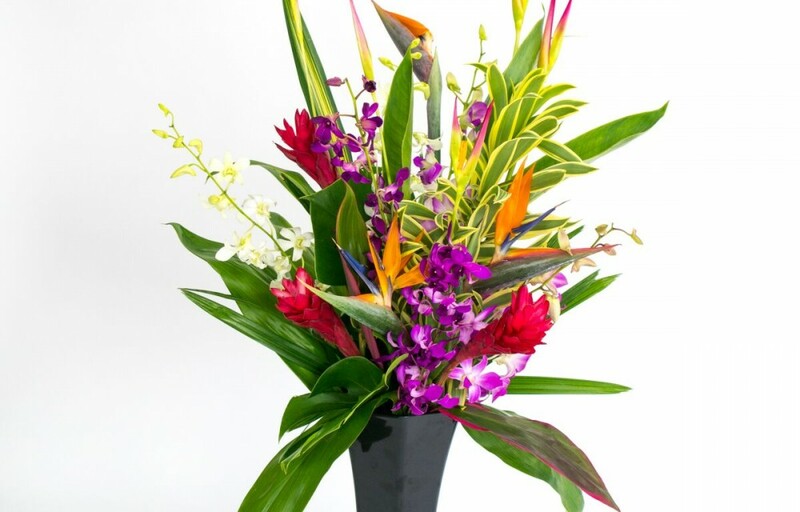 We have over a dozen tropical flower assortments for you to choose from. Each includes a careful balance of flower sizes and colors. 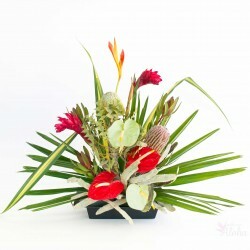 We include tropical foliage with every selection. 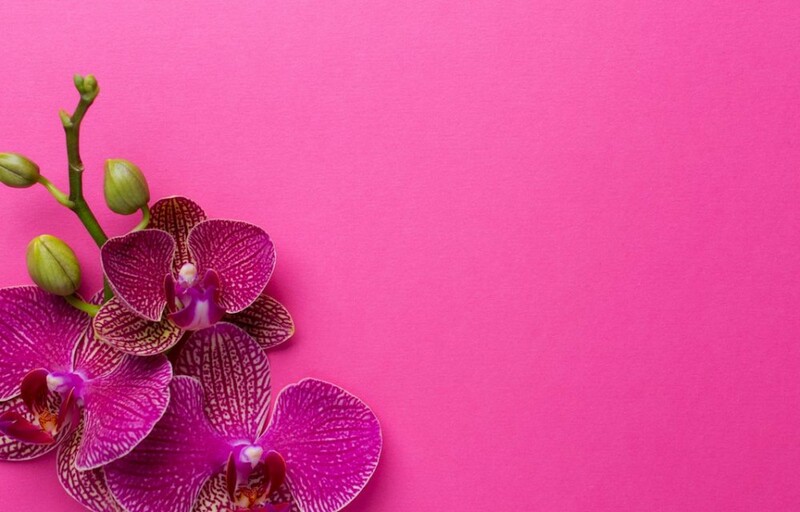 You can also order individual flowers by the dozen if you have a favorite Hawaiian flower such as red anthuriums or orchid sprays. We’ve included the names of Hawaiian flowers along with pictures to help guide you. These are select flowers that are long lasting. While plumeria and yellow hibiscus are beautiful they do not stay fresh long enough to be enjoyed as cut flowers. 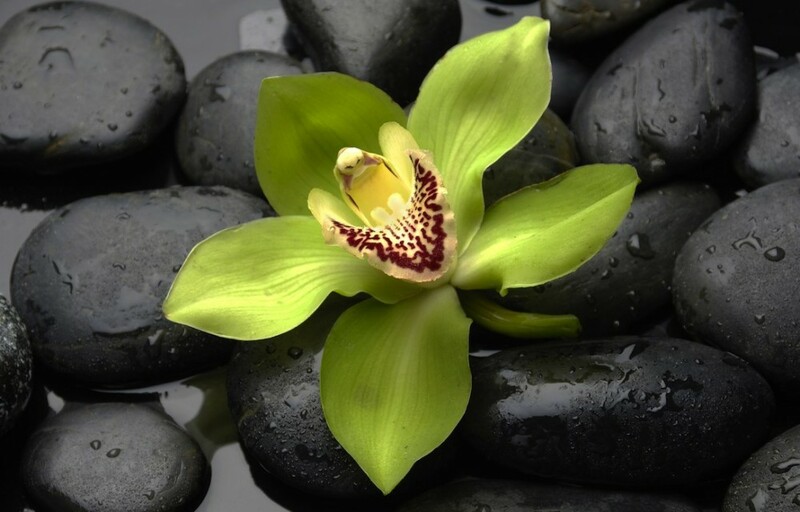 We also send blooming orchids for your home, office or as a gift. These are Hawaiian grown, not factory imports. We also have Hawaiian flower leis for sale. All are hand made in Hawaii. Send a graduation lei, birthday, or anniversary gift. We have fresh orchid leis, ti leaf leis and kukui nut. 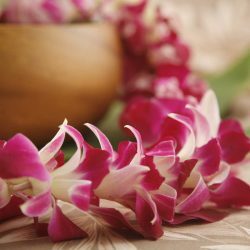 What kind of flowers are leis made of? 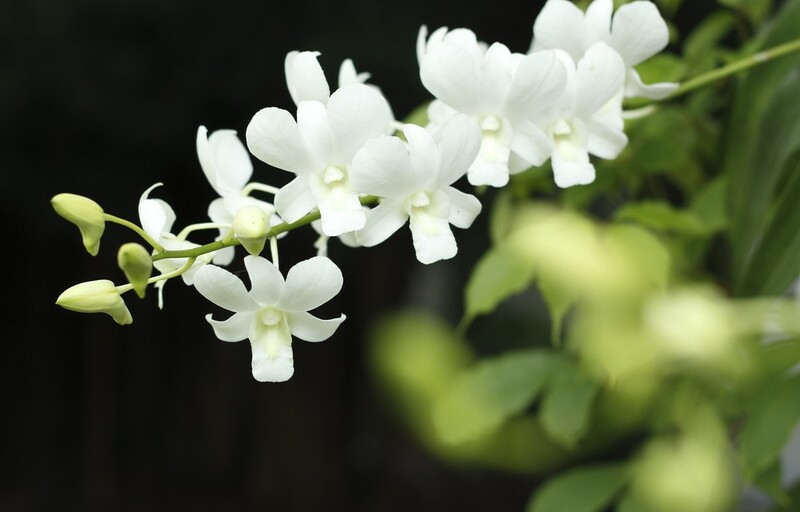 We most often use local dendrobium orchids. 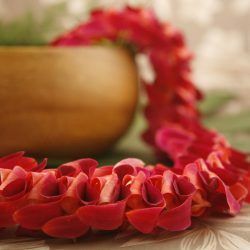 We have recently added leaf and fragrant leis, working with a family owned Hawaiian lei company here. Note that all are made from natural materials. We do not sell fake Hawaiian leis made from paper in China. 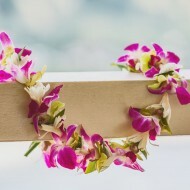 If you need Hawaiian leis bulk we can work with you on pricing with enough advance notice. Maile vine makes a great graduation lei for guys. Making your own lei? We have loose orchid blooms. These are the same flowers we use for our own leis. These loose orchid blossoms have limitless possibilities. Decorate your luau table, wedding scene or buffet table. 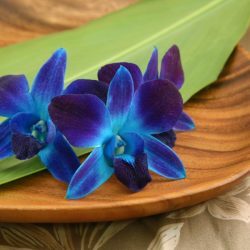 Or use one simple orchid to garnish each plate. 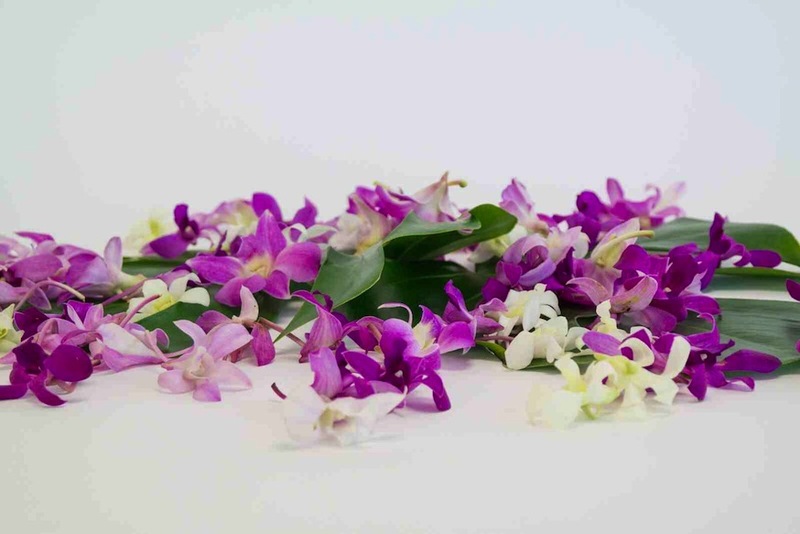 We also have color infused orchids to match school colors for your graduation lei DIY. 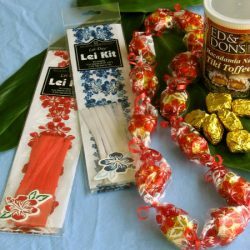 A favorite for kids is our candy lei kit. Graduation candy leis are a fun and easy DIY lei for young ‘graduates’. We pack everything to stay fresh and cool during the one or two day shipping period. 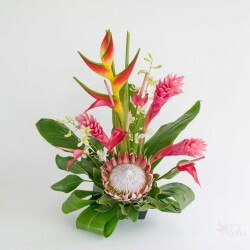 Hawaiian flowers for you home, event or gift will arrive with our guarantee. We use Federal Express Priority so your package gets preferred treatment during shipping. We may add special packing during very hot or very cold weather depending on where you live. We ship directly from farms on Maui and the Big Island. We do not have a walk-in store. This keeps costs lower for you. All Hawaiian flower assortments arrive as full stems, not arranged. Leis arrive ready to wear. 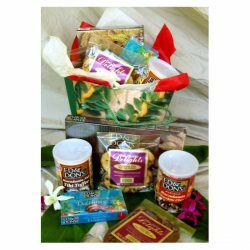 Our Hawaiian gift baskets use items from local bakers, candy makers and craftsmen. These are smaller, family run businesses. 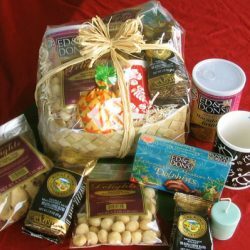 We prefer them to the factory shops that supply the big box and convenience stores for our Hawaiian made gifts. 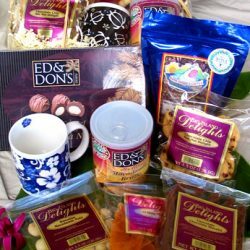 Items include Kona coffee, cookies, brittle and candies. 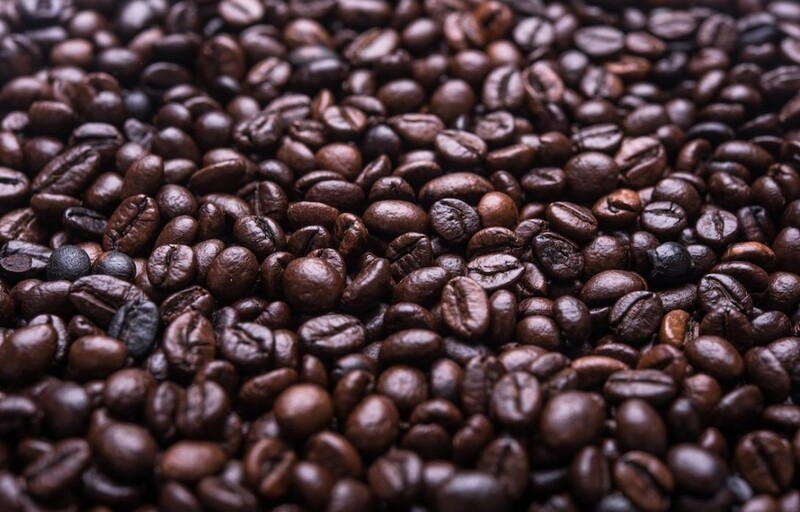 Many are made with macadamia nuts. Our packaged macadamia nuts are whole nuts. 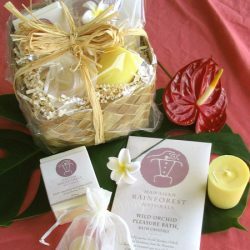 We also have a selection of Hawaiian spa gifts and baskets made with natural essences from the Hawaiian rain forest. This is ideal for Mother’s Day or as a Hawaiian birthday gift. 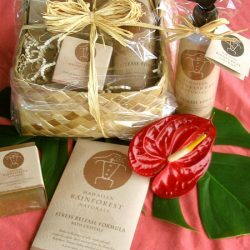 If you’d like a gift basket in Hawaii for delivery to a Waikiki hotel please visit our companion site. 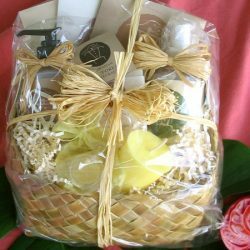 Waikiki hotel courier delivery is free for gift baskets! Mahalo to you for visiting our site. If you have questions about Hawaiian flowers, leis, shipping times, availability or if you have any other questions please contact us. Order today and select any future delivery date at checkout. We’ll make sure your flowers or gift that day. Please order in advance to ensure we have the exact flowers or gifts for you.